Aleksei Mikhailov from Moscow successfully graduated from Bromsgrove and has started his undergraduate studies at the University of Southampton in Electrical Engineering. Our student Aleksei Mikhailov from Moscow successfully finished an A Levels course at Bromsgrove and received AAA for Maths, Russian and Physics and BB for Further Maths and Economics. Aleksei had offers from UCL, Manchester and Queen Mary. 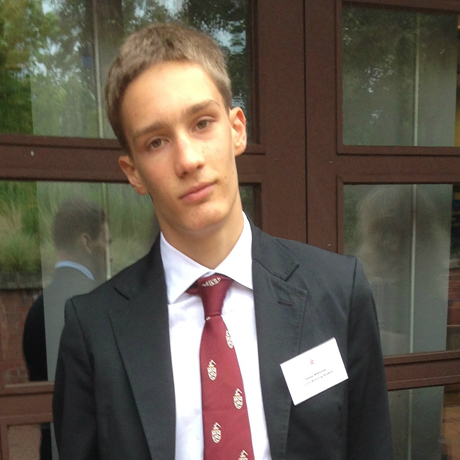 Aleksei chose to go to University of Southampton to read Electrical Engineering. We are very happy for Aleksei’s success and we asked him to share his experience of studying in the UK. — Aleksei, tell us, please, about your studies at Bromsgrove: did you like it? Did you encounter any difficulties? Bromsgrove provided me with invaluable tuition – my teachers were demanding but very helpful, academic clinics helped me to understand the material better, so I did not have any major difficulties in my studies. I played football for the school team. I used to play the guitar, as well, but then I stopped due to the lack of free time for rehearsals. I got used to the school rules and the environment quickly. Overall, I liked the school and now my sister is doing an IB program there. — Which subjects were more challenging for you than others? In Year 13 Economics became much more challenging, compared to Year 12. I did not find the other subjects too challenging, to be honest. — Did you experience at Russian schools help you at all? It definitely helped. I went to a very demanding school back in Moscow. Both my parents graduated from Moscow Institute for Physics and Engineering. My family has always valued good education. I had had regular private English lessons since I was 12 and went on to attend several summer schools in the UK. I moved here for permanent studies at the age of 15. — How did you choose your profession and why did you chose the University of Southampton? I chose my profession because I wanted to dedicate my life to electronics. Before I chose exactly what to specialise on, I looked at various university programs in the field in detail, read around the subject and discussed the issue with the school. I chose the University of Southampton because it occupies top positions in all the rankings for my subject. I decided against studying in London, because I think that it is more difficult to focus on studying in a big city. — What can you say about your student life at Southampton? Is it everything you hoped for? Yes, the university meets all my expectations. The system focuses on the student’s independence. It is in my own interests to go to the lectures, do all the preparation work and study hard – nobody is forcing or monitoring me. If a task is submitted late, even if it is done to a 100% standard, the grade is lowered, so one has to submit everything on time – self-discipline is crucial. — What would you advise perspective engineering applicants? I would advise them to do Further Maths at A Level, it would make first-year studies easier. UK Study Centre worked with the Michailov family throughout all stages of Aleksei’s studies in the UK, from school entry preparation and application and guardianship services to applying to universities and choosing university accommodation.